Belk Spring Beauty Event 2019 has begun and it runs through March 31 only. During the event, get $20 off, free tote and also spring beauty GWPs from Lancome and Elizabeth Arden. There are 3 New Beauty Bags from Ulta, Beauty Brands and Beauty Expert! Belk (NEW) GIFT 1: FREE Tote with any $100 Beauty purchase. (NEW) GIFT 2: Plus, get $20 gift card with any $75 beauty purchase, get $20 Gift Card with any $100 beauty purchase. (NEW) GIFT 1: Choose Your FREE* 7-Piece Gift with $37.50 Elizabeth Arden purchase. A $106 value! (NEW) GIFT 2: Spend More, Get More!! Spend $85, get a FULL SIZE Superstart Probiotic Cleanser-Whip to Clay – worth $34. (NEW) GIFT 3: Get Even More!! Spend $125, get a FULL SIZE Ceramide Premiere Intense Moisture and Renewal Regeneration Eye Cream – worth $54. (NEW) Free 4-pc gift with $55 Origins purchase. Plus, receive additional 2-pc gift with any $75 Origins purchase. (5d) GIFT 1: FREE 3-Piece Gift with the purchase of NEW* Urban Decay Naked Reloaded palette. GIFT 1: Choose Your FREE* 7-Piece Gift with $37.50 Lancome purchase. Worth up to $130*. GIFT 2: Spend More, Get More!! Spend $75 on Lancome, get an additional 3-piece gift! Worth up to $190*. (NEW) GIFT 3: FREE* Prep & Matte Primer + Mini Foundation Brush with purchase of Lancome Teint Idole Ultra Wear Foundation. (NEW) See all 50 gift with purchase. Free shipping on any beauty purchase. Ulta (NEW) Beauty Break 4 hours only. Receive a FREE 4 Pc Tarte Gift with any $50 online purchase. A $43 value! One per customer. While quantities last. (NEW) Ulta 21 Days of Beauty Event 2019 day 4: ulta.com/21days/. (3d) ULTA The Glow Up Kit $20 A $99 value! (3d) Receive $3.50 off $15 purchase use coupon 718128 (exclude prestige brands) any qualifying purchase – printable version coupon here, ends 4/6. 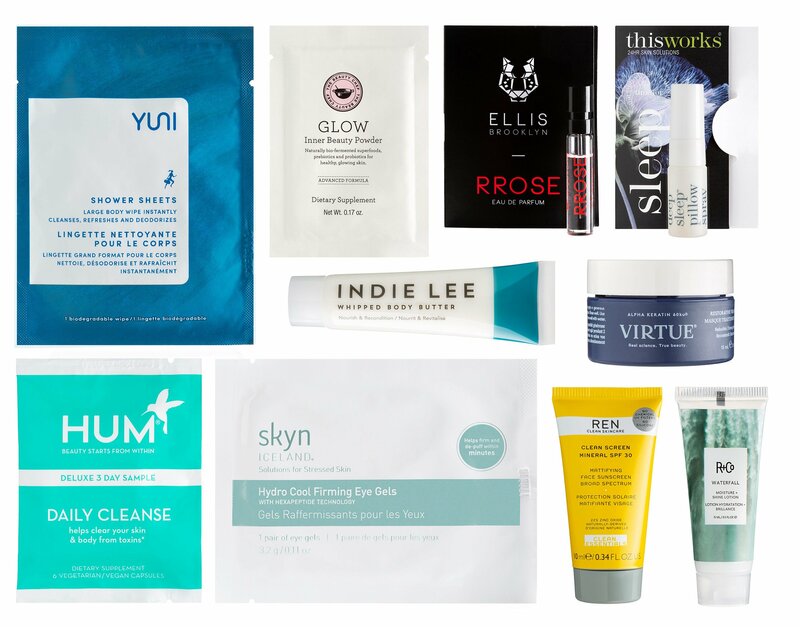 Beauty Brands (NEW) Receive a FREE Beauty Brands 15 Pc Try Me Bag with any $50 online purchase. Over a $100 value. Assortment may vary. While supplies last. (NEW) See all Beauty Brands Beauty Boxes. (NEW) Try code EM16005 for $10 off $25 purchase and TT3538 for 10% off. Free shipping on order $50+ or add $5.95. Check out all GWPs here. You can save 10% off your entire purchase when you use the code TTTEN or tt2938. Beauty Expert US & CA (NEW) Get a free beauty bag with any £65 purchase. (NEW) Use code SPRING to get 15% off sitewide. Beauty Expert Collection: The Vegan Collection was $106 now $79.50. Collectively worth over £180. (NEW) Select Mother’s Day gift sets are 30% off. NORDSTROM (NEW) Receive deluxe samples of Fresh Pressed Daily Booster with Pure Vitamin C 10% (0.05 oz. ), Fresh Pressed Renewing Powder Cleanser with Pure Vitamin C (0.01 oz. ), Dramatically Different Moisturizing Gel (0.5 oz. ), Moisture Surge 72-Hour Auto-Replenishing Hydrator (0.24 oz.) and Pop Splash Lip Gloss in Rosewater Pop (0.05 oz.) with your $39.50 Clinique purchase.